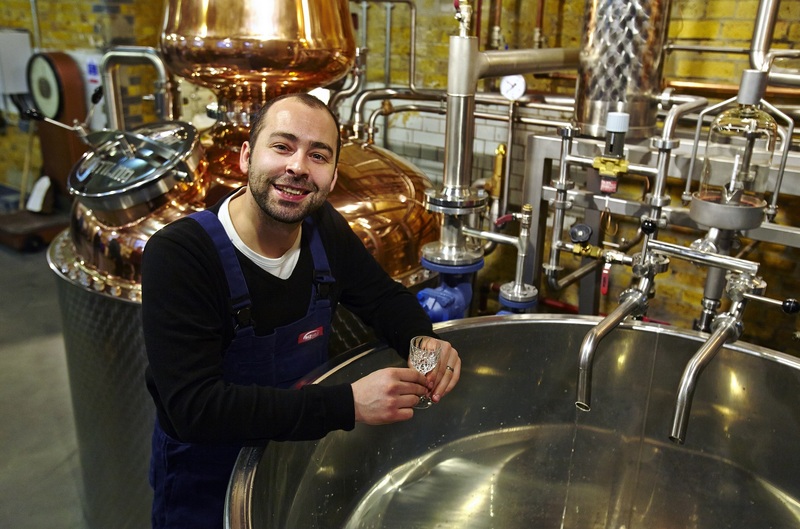 Battersea-based distilling company, The London Distillery Company, has been granted London’s first licence to produce single malt whisky in over a century and Thursday saw its initial British spirit flow from the still. The boutique distillery, which has been producing Dodd’s Gin since Spring 2013, is the first whisky distillery in London since Lea Valley in Stratford closed in the early 1900s. Malt whisky is made using three ingredients: malted barley, water and yeast. In keeping with the distillery’s focus on sustainability and sourcing locally where possible, the barley is sourced from Warminster Maltings, Wiltshire, 100 miles from the distillery. The yeast is supplied by Surebrew in Surrey and the company is using historical London brewing strains. Darren Rook comments: “It is not widely known that the capital has a great heritage of whisky production dating back to before Chaucer. Since meeting co-founder, Nick Taylor, it has taken just over three years of hard work from the early concept to get to where we are today. We are really excited to be part of a new chapter in the city’s distilling legacy. Annually the company has capacity to fill up to 100 casks. During the development stages Rook has been working with Master Whisky Distiller and Blender, John C McDougall, and whisky industry consultant and wood specialist, Dr. Jim Swan. The team will continue to work with them both at regular intervals over the coming years.